Most dry-chemical fire extinguishers come with a pressure gauge that indicates whether or not the extinguisher is properly pressurized. 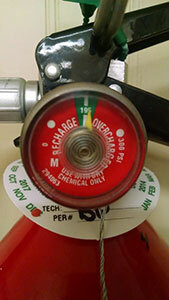 If the indicator is pointing to “Recharge,” the pressure in the extinguisher is likely too low to expel the chemical that extinguishes the fire. Why do fire extinguishers lose pressure over time? Portable fire extinguishers are metal cylinders filled with water or chemical material (the extinguishing agent). They are then pressurized with an expellant gas, normally dry nitrogen or dry air within the same cylinder. The extinguisher valve and its related components keep the compressed gas from escaping until operated. Over time, like an old or worn car tire, a fire extinguisher can develop a slow leak that releases the gas. When this happens, fire extinguisher depressurization occurs. This process can be due to a leaky or damaged valve or valve component such as an O-ring seal or valve stem, or other damage to the cylinder itself. While a leaking or depressurized fire extinguisher isn’t dangerous in and of itself (the gas won’t cause damage to people, for example), its dangers are nevertheless serious. A lack of pressure causes a fire extinguisher to be inoperable. The extinguishing agent can’t be expelled, which means the extinguisher is useless in putting out a fire. When fighting incipient-stage fires, every second matters. 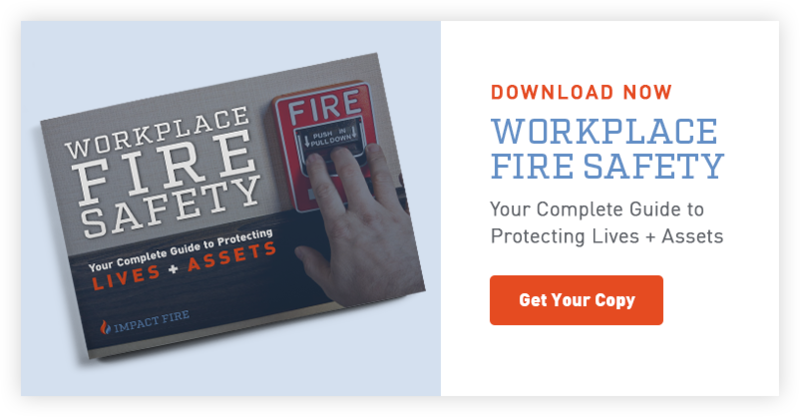 If you waste time trying to find another extinguisher or another way to extinguish the fire because your portable extinguisher didn’t have enough pressure, the fire is simply getting larger and more difficult to control. In some cases, such as with cooking fires, this is even more dangerous. Certain fires are not able to be extinguished with water, so if the correct fire extinguisher is not an option, your property or your life could be in real trouble. Fortunately, simple visual inspections can help to keep you prepared. Once a month, check your fire extinguisher to make sure the pressure gauge is in the proper position and that there are no signs of physical damage. Most homeowners are not this diligent, however they should at least look at them semi-annually when they are changing the batteries in their smoke and CO detectors. If you notice that the pressure gauge on your portable extinguisher is in the “Recharge” position or is reading in the “Over Pressurized Range”, the best thing to do is to bring it to a fire protection professional. A professional can inspect your extinguisher to be sure that it is safe to recharge. Then they can perform the refilling process for you at minimal time and cost. If the extinguisher is damaged or unsafe to recharge, a fire protection professional can also recommend an appropriate replacement.